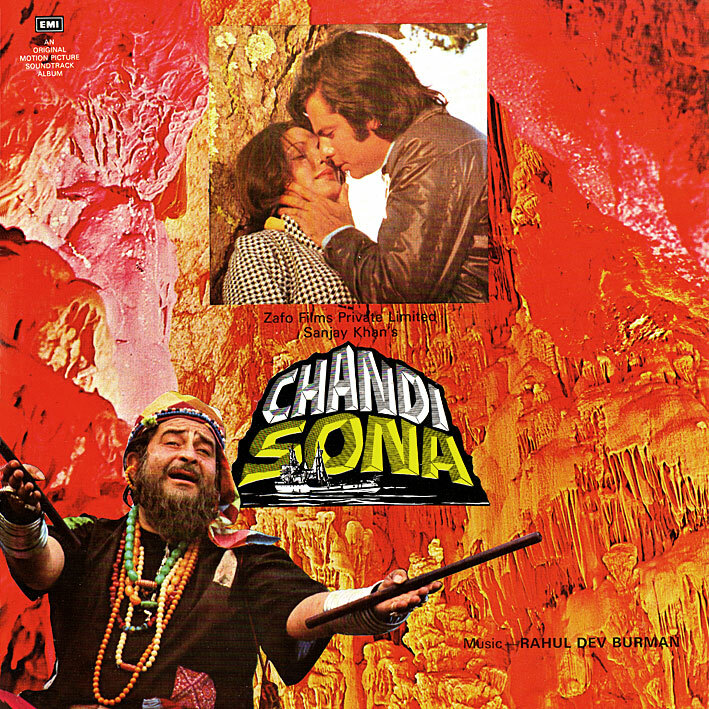 Another cool Burman score; 'Chandi Sona' has the added bonus (?) of being quite hard to find. Or so I'm told. Best track is 'Dance Music', a quintessential - and great - 70s RD funk instrumental. Next best is 'Uljhan Hazaar Koi Dale', with its long, evocative intro, amazing groove and exotically pyschedelic details. Third best is a toss-up between the lovely 'Socha Tha Main Ne' and the Middle Eastern sounding 'Aap Sa Koi Haseen'. Fifth best is... oh, stop it. You're getting the picture, yeah? My god, tell me that lead actor Sanjay Khan doesn't look like Robert Wagner as he would have appeared at that time. yay, love the burman funk. Thanks PC. You are right. Its a bit hard-to-come-by album. Got this one for the Dance Music, which I didn't have. Turns out it's the same piece featured in the "Bollywood Funk" album, which was an amazing compilation. And wow, I would've ranked the tracks in the same order... scary! Thanks, PC. litlgrey, wow. You know, I always wondered what other actor Sanjay Khan reminded me of... and I can definitely see a little Robert Wagner there, especially in the LP cover. Any Rajesh Roshan score on way? Pardon me for my curiosity! Only have a few EPs by him. Can´t see the links...I presume that it is below in brief but is censored somehow. The link is ALWAYS in the first comment.